NordicTrack C1550 Treadmill is a low impact and high performance treadmill which has 34 built in workouts designed by certified personal trainer. This treadmill also has 8'' backlit display which shows wrkout progress perfectly clear and easy to read. C1550 Treadmill comes with heavy duty 3.25 CHP motor which runs smoothly with low noise and vibration. 3.25 CHP DURX™ COMMERCIAL PRO MOTOR-The C1550 Treadmill features a heavy-duty system that delivers smooth, consistent and quiet power. Dual fans cool internal components as the motor runs for less noise and vibration, while superb insulation and a built-in grounding brush ensure the motor performs perfectly mile after mile. 0-12 MPH 1-TOUCH™ SPEED CONTROL-Quick controls instantly adjust your speed from 0-12 MPH with the touch of a button. You can stay focused on your performance instead of scrolling through speed settings. 34 WORKOUT APPS-Get the training you want with built-in workouts designed by a Certified Personal Trainer. Choose from 34 workouts that target calorie-burning, incline, speed or intensity goals. Your speed, time, distance and incline are preset so all you have to do is press start. 375 LB. WEIGHT CAPACITY-The C1550 Treadmill accommodates up to 375 lbs. 20″ X 60″ NON-STRETCH, 2-PLY TREADBELT-This roomy treadmill belt is designed to operate smoother and more quietly, with less maintenance, than the average treadmill belt. Made with lubricant woven into the fibers, it helps extend the life and performance of the drive system. INCLINE AND DECLINE TRAINING-Advance your training with incline and decline on the C2550 Treadmill. With up to 15% incline, you’ll recruit more muscle targeting your hips, quads and glutes. Downhill training adds variety to your workout and builds leg strength. Integrated with iFit® Technology, the C2550 recreates the topography of any trail in the world with Google Maps™ workouts. 2.5″ PRECISION MACHINED AND BALANCED REAR ROLLER-The C1550 Treadmill is built with a 2.5″ precision machined and balanced non-flex rear roller that’s coated with a microfinish to reduce friction. The result – less wear and tear on the drive system, and less noise from the belt. 3% DECLINE TO 15% INCLINE WITH 1-TOUCH™ CONTROLS-With the touch of a button, quickly adjust your incline up to 15% and your decline to -3%. Higher inclines reduce impact on your joints and help you add variety to your workout while decline training will help build leg strength and power. QUADFLEX™ CUSHIONING-Four sets of cushioning span the deck to reduce impact on your joints for more comfort during and after your workout. The deck deflects 0.75 inch to reduce impact by 30% and relieve pressure on your knees and back. You’ll perform better and faster for incredible results. IFIT® COMPATIBLE CONSOLE-A revolutionary interactive training program, iFit® Technology** helps you get much more out of each workout. Track your progress, replicate real-life runs with Google Maps™, compete to push your performance, train with Jillian Michaels, and custom-tailor your workouts to your specific goals. **Requires iFit® Wi-Fi Module, sold separately. Purchase an iFit® wireless module and get a one-year iFit® subscription for FREE! Get the infinite benefits that come from training with iFit® Technology today. 8″ BACKLIT DISPLAY WITH RACETRACK™-Perfectly clear and easy to read, our biggest backlit display has a large viewing angle so no matter how tall or short you are, you can always keep track of your workout progress. It displays your speed, time, distance, pulse and calories burned, as well as a virtual, quarter-mile RaceTrack™ monitor. POLAR® WIRELESS CHEST STRAP INCLUDED-Maximize your results with heart rate training. The wireless chest pulse strap sends a continuous reading to the display so you stay in the right training zone for better, faster results. SPACESAVER® DESIGN WITH EASYLIFT™ ASSIST-Innovative technology not only folds the deck for space-saving storage, but also helps you lift with ease. CARDIOGRIP™ HEART RATE MONITOR-Stay in your target heart rate zone with heart rate sensors built right into the handlebars. Your reading is displayed on the console for a fast, accurate progress checkup. 8″ AUTOBREEZE™ WORKOUT FAN-Stay cool and comfortable with the oversized fan that spans the console and automatically adjusts its speed to match your workout speed. COMPATIBLE MUSIC PORT FOR IPOD®-Stay motivated and moving with your favorite music without annoying headphone wires. Plug your iPod®* into the Interplay™ Music Port and get unbeatable sound quality from two 3-inch speakers. WARRANTY-The C1550 is protected by a Lifetime Frame, Motor & Deck Warranty, a 5-Year Parts & Electronics Warranty and a 2-Year Labor Warranty. ToughTrain 4.0 out of 5 Can be a good choice at this price. Have many advanced faetures and also come with an attractive warranty. TreadmillReviews.com 7.31 out of 10 The new NordicTrack C1550 has many outstanding features and specs to bring to the table this year. The C1550 is set at a reasonable price and it has great features and specs considering the price it is at. *Note: Most of the sites, stores or shopping portals listed above sell NordicTrack C1550 Treadmill with discounts and other exciting offers. 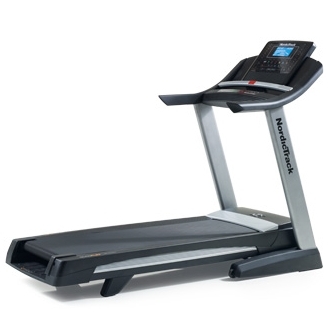 There is a possibility that the some of above websites are not selling NordicTrack C1550 Treadmill now. Toughtrain.com is not liable for such cases or instances. Also we do not recommend any seller for NordicTrack C1550 Treadmill and a buyer should buy from where he/she gets best deal with quality of products, service and on time delivery (shipment). One of the Best Treadmill Produced by Norditrack. It has amazing features for what it costs. 5 Years warranty , great gripping running belt ,speed controlling , and various others preset programs. I have been using this machine from past 1 year and believe me i am too happy with this buy . In starting i was regretting for such huge price but now i recommend it , as it gives you for what you have paid. Excellent machine i love it.